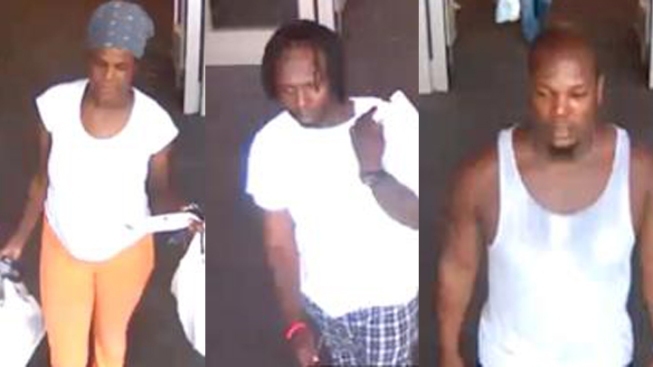 Police have released surveillance video of three suspects wanted in a Prince George's County burglary from a home. According to officials, the burglary was reported July 13 in the 11900 block of Twin Lakes Drive. Suspects broke a window to get into the home and got away with credit cards, jewelry, a computer and other valuables. The stolen cards were used later that day by the individuals pictured in the surveillance video. If you have any information on the crime or the suspects, contact Crime Solvers at 1-866-411-TIPS.